After finished my dinner and have a full meal, I realized there is a misscall from my friend. He ask me go to pizzahut to join their dinner. I went there and thinking I still able to eat. But sadly my stomach still full and didn't feel like eating again. So I drink a free pepsi there and snap some photo. Hmmm...Mouth watering now. Thinking when can I eat pizza again? 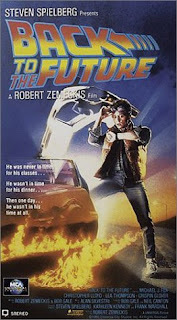 Just watch a movie titled "Back To The Future". So I decide to write a blog about it here. This movie have 3 part, total time of them are around 6 hours. It is a 1985 science fiction adventure film directed by Robert Zemeckis, co-written by Bob Gale and produced by Steven Spielberg. Yup, you are right. That is an old movie. 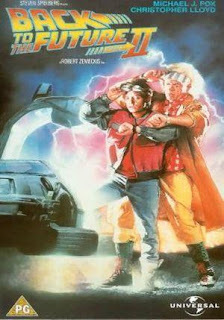 Part 1 showed in year 1985, part 2 showed in year 1989(the year I borned) and part 3 showed in year 1990. In 1985, Doc Brown invented time travel, in 1955, Marty McFly accidentally prevented his parents from meeting, putting his own existence at stake. After visiting 2015, Marty must repeat his visit to 1955 to prevent disastrous changes to 1985... without interfering with his first trip. 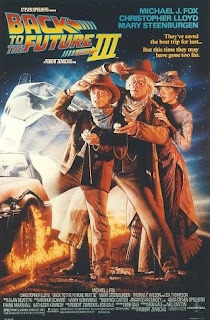 Doctor Emmet Brown was living in peace in 1885 until he was killed by Buford "Mad Dog" Tannen. Marty McFly travels back in time to save his friend. Well, all of the 3 part making me very excited while watching. The main character's skate board skill is amazing, but I know it is hard to use skate board in my campus or maybe will get caught by security guard. I found a meaningful statement at the last part, which is part 3 and I would like to share it through here. "Your future hasn't been written yet, no one has. Your future is whatever you make it, so make it a good one."